Bookmap continues the series of inspiring interviews with successful traders. 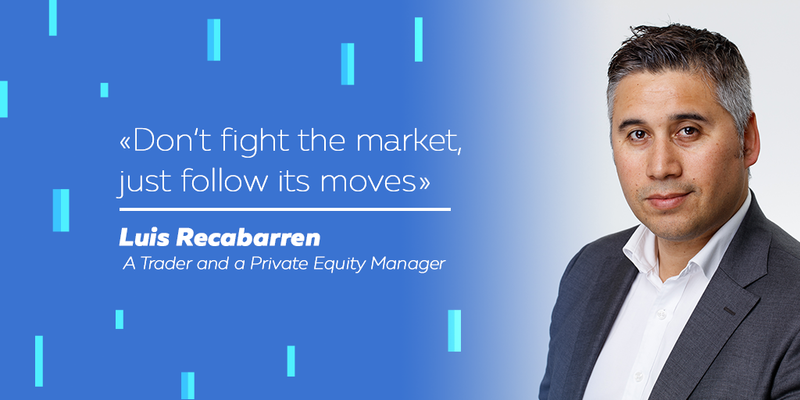 Today we welcome a trader, a private equity manager, a fighter, and a ballet dancer — Luis Recabarren. 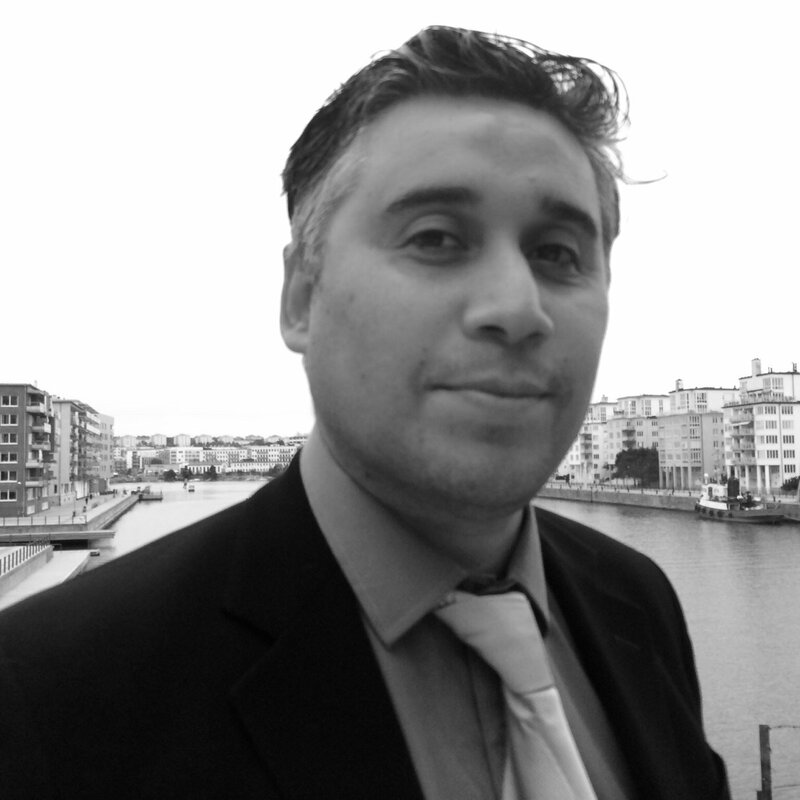 He is an outstanding personality and a trader to learn from. So we have invited him to share an experience with our readers. Luis, you have tried various things in life and accomplished a lot. How do you manage to combine such different occupations? How much of your time does trading take? Around 6-8 hours a day, including preparations. Have you ever thought as a kid you would become a trader? No, I always loved individual competition sports. I practiced Martial Arts, and once I outperformed a European champion when I was 15. I didn’t know he was a champion! No, I quit a long time ago. Actually, at the age of 16, I entered the Royal Ballet School in Sweden. After that, I studied engineering and molecular genetics. That sounds impressive. Do skills from martial arts and dancing help you in trading? If yes, in which way? Yep, a lot. The competitiveness and hard practice through blood and sweat, as well as the joy of doing what I loved, helped me to shape my personality. Eventually, I got to know myself better, learned how to react in stressful situations, and formed the “state of mind” — all thanks to sport. As a dancer, I met a lot of soloists and financial “stars.” When they talk to you, they are always aware of the effort you have put into the job to become as good as you are. Dancing taught me discipline. With such a background, how do you define a word “trader”? In my humble definition, he or she is a market participant who works and hunts (looks for profits). Interesting and indeed humble. And what characteristics do you believe make a trader a “great trader”? Dynamic and humble, this person must be able to admit own mistakes and stay comfortable losing while taking new risks. In your opinion, is there a personality type which is more likely to succeed in trading? I think sports mentality has more weight than studying “national economy.” Most traders that I met did sports. There are times when you have to be aggressive, and times when it is better to remain calm. Just like for any activity, you need the persistence to reach a sustainable level. Don’t fight the market, just follow its moves and act accordingly. How do you feel when trading? Usually, I am in a zen zone and focus on the flow. Have you ever made trading decisions under stress? The entire day is a stress but when you have a plan to react to each situation, you rely on the strategy and ignore the market noise. What lessons did you learn after working under constant stress? Emotional executions are not sustainable. What is your attitude towards risk management? I have a yearly budget divided by months, weeks, and days. It is based on a Black Box, and once the daily budget finishes, I step away from the market and come back the next day. What time frames do you trade and why? I trade the order flow time frame. I don’t use time domain charts except for tracking dark pools by tick on the SPY and QQQ. Imagine that you could go back in time and give yourself advice before starting to trade. What would it be? Study order flow and cumulative volume delta. Tell us about your trading plan? My partner and I develop a Matlab Black Box that gives us EOD NR and hypotheses. Then, I check what news could be catalytic and trigger those NRs, and study dark pools during US cash session. After that, I look forward to executing a microstructure on Bookmap to identify the proper executions. I search for supply and demand divergences there. Bookmap is a great helper when I have premarket levels from the Black Box. When I see a confirmation in Bookmap, I follow a defined strategy instead of guessing. I can observe in real time if I am wrong and the market is correct. I also study dark pools’ activity to track the markets. How does your workday as a trader look like? For instance, a gym before the markets open? Do you have some rituals before/after trading? Can you name your biggest mistake? I think it is a desire to outsmart the market. What are the most common mistakes traders do? Overconfidence in a particular strategy. I believe all strategies work fine with a conservative risk management. What about your biggest wins? Patience and following the initial strategy are the key. What traders do you admire? I admire the people that are humble and kind. It defines one as a person able to react properly in stressful situations and stay focused. Traders that let emotions take over them are unable to share these insights. I have never glorified traders. Instead, I have always concentrated on myself, how to respond and what to do in order to go forward. I also never romanticized trading since I believe we are all capable of creating great things and the strength is in one’s heart. Being stubborn is what limits an individual. Tell us more about your private equity firm. What is your story in the company Algo Quant Group? We are professional investors that were tired of long-only funds. So we decided to apply algorithmic trading to analyze order flow and dark pools. When we organize these huge amounts of data, we can finally make decisions based on a manual analysis of the order flow. What indicators did you find the most useful? I don’t use any kind of lagging indicators, I use order flow. What tools do you use for trading? C++ made on a Black Box, Bookmap, Trading Technologies, Rithmic. Should a trader be a team player or even a leader? Can he be successful without frequent interaction with other people? I think in the beginning you start with lots of collective intelligence because we all can share our experience. After some time, you can easily become very successful without such interaction. “The pit” is always a center to meet a lot of experienced traders and you can have a fast learning curve with help of more skillful traders. Imagine that your friend trader asked you to give him three books as a present for his birthday. What would they be? Algorithmic Trading and DMA by Barry Johnson, Time Series Analysis on Matlab, Flashboys by Michael Lewis, Dark Pools by Scott Patterson, and Quantitative Trading by Ernest P. Chan. I want to enjoy time with my kids and family.